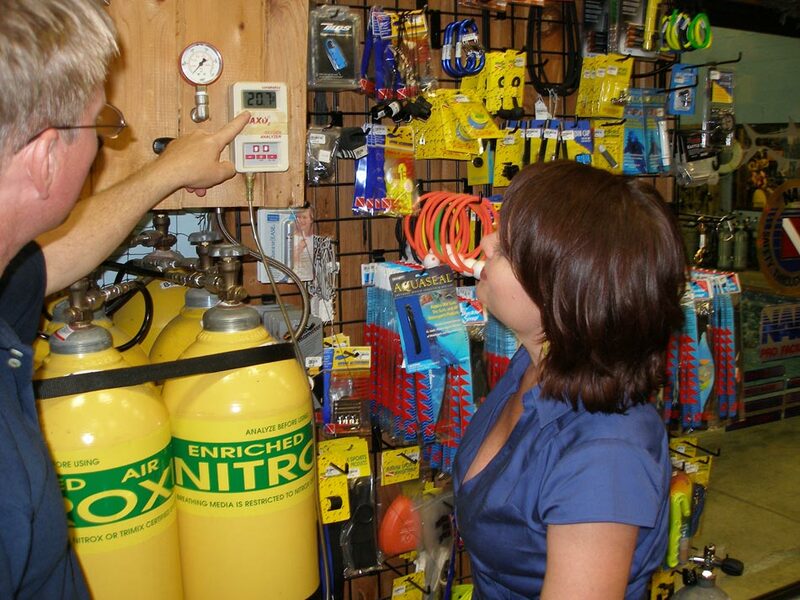 The Basic Open Water Diver with Nitrox course is designed for those interested in open water diver certification AND Nitrox certification. Class participants meet from 6 to 9:30 pm twice a week (usually Tuesday and Thursday) for five consecutive weeks, each night at Bill Jackson’s indoor swimming pool. Each course includes a set of open water dives. Cost: $450, plus $190 for books, plus open water dive fees (varies). $100 deposit required to hold your spot (space is limited); balance is due first night of class. Bill Jackson’s will supply some scuba equipment, including weights and wetsuits when needed. You must provide your own mask, snorkel, boots, fins, gloves, bathing suit and towel. During your course, practice time will be available during store hours at no extra charge.